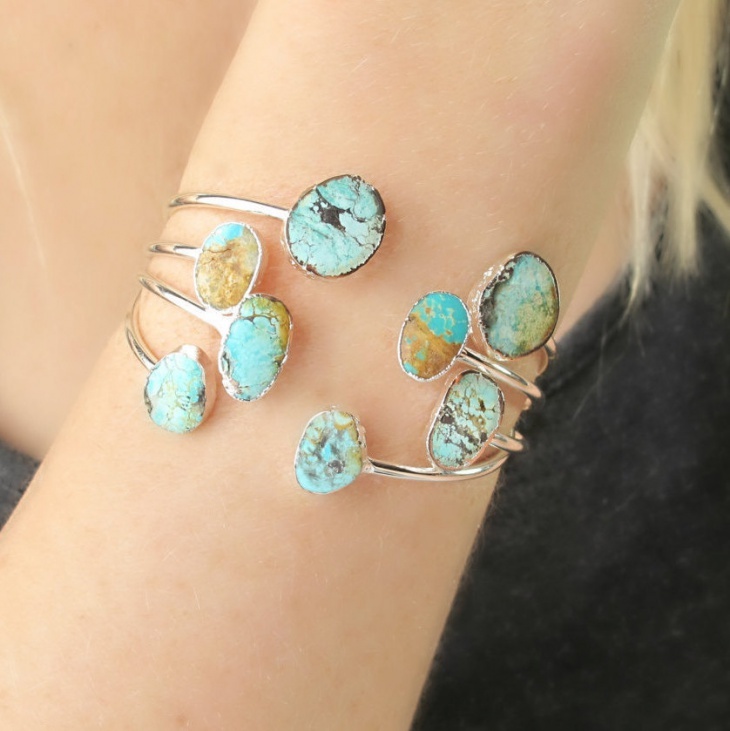 One of the simplest pieces of jewelry to wear is a bracelet. 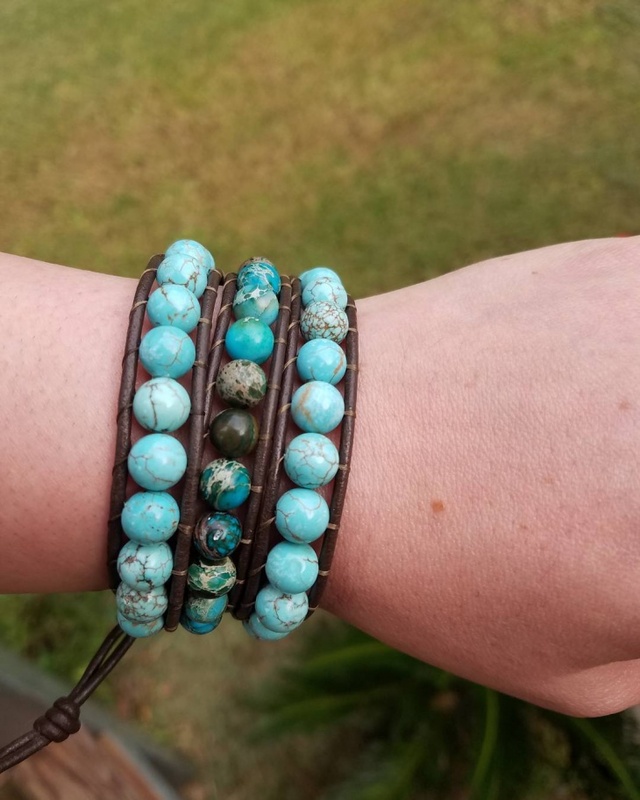 Women wear bracelets when they are not up to wearing neckpieces or chunky earrings. 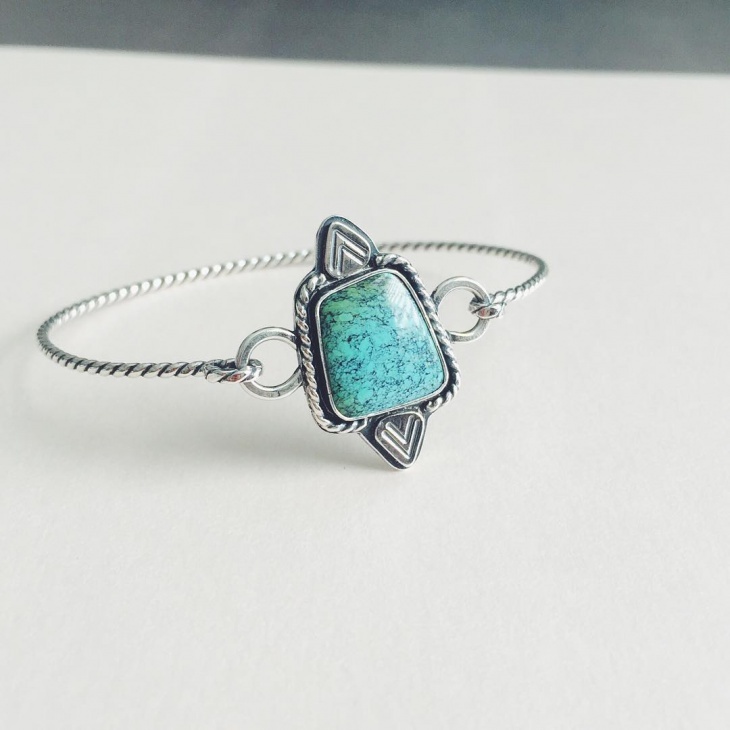 The silver bracelet design with turquoise gemstone is the one to vouch for! 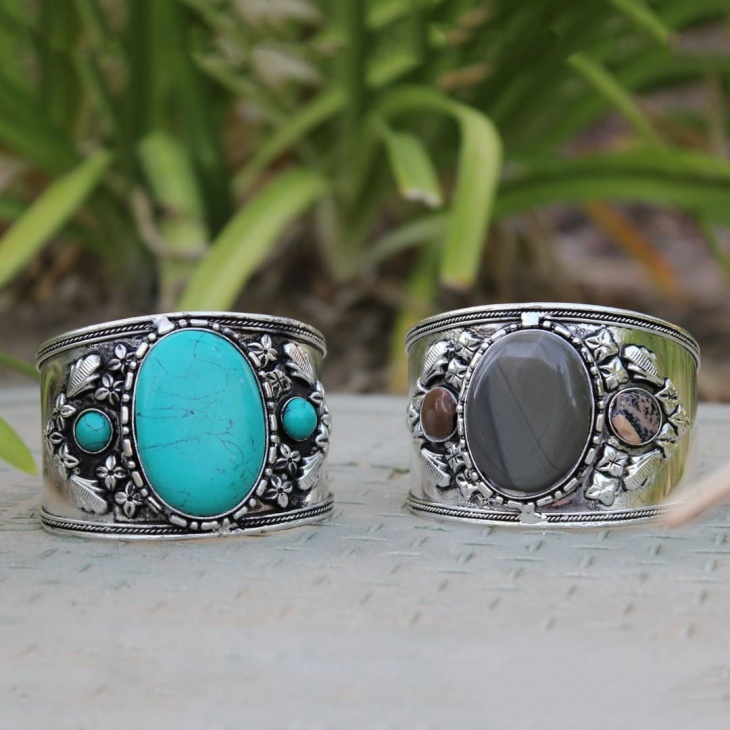 You can look stunning wearing these bracelets at any age and occasion. 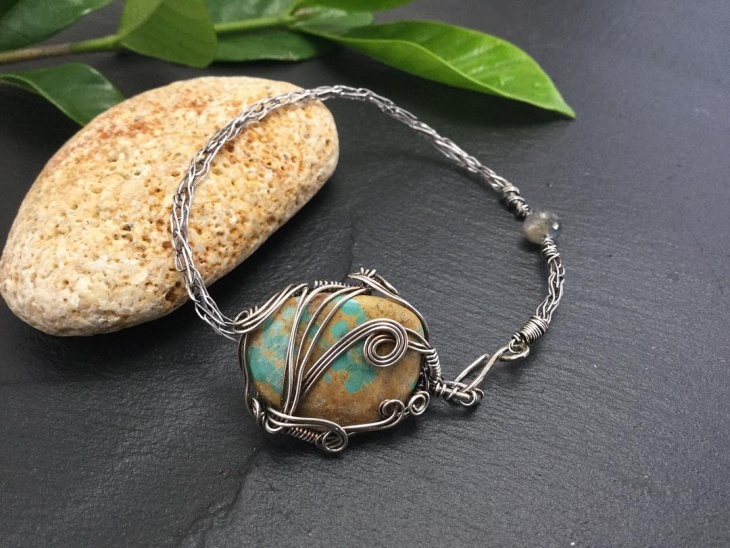 This is a gypsy style, adjustable bracelet in silver. It has antique design and looks great on young women. This bracelet goes well with ethnic wear and summer, maxi dresses. Wear flip flops or strappy sandals with this outfit. 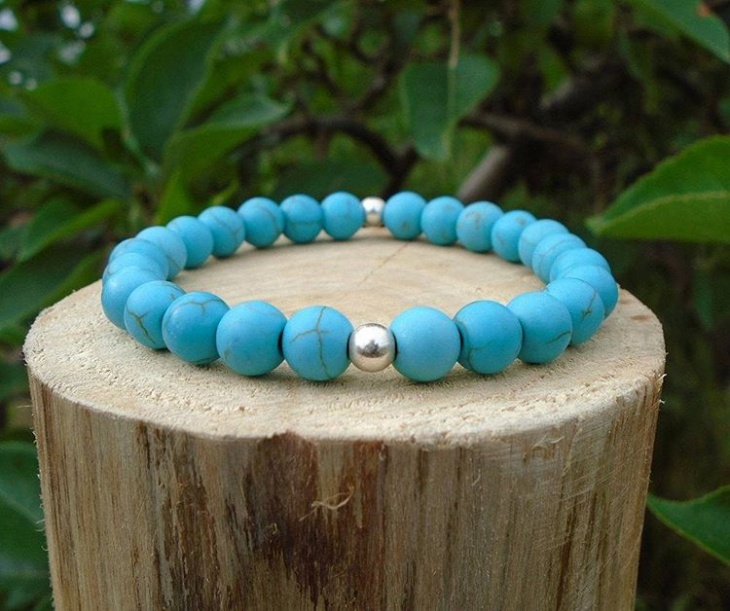 A simple silver bracelet with turquoise beads placed at a distance. This is your everyday bracelet that you can wear to the office as well as casual occasions. This bracelet is suitable for women of all age groups. It carries a style of elegance with it. 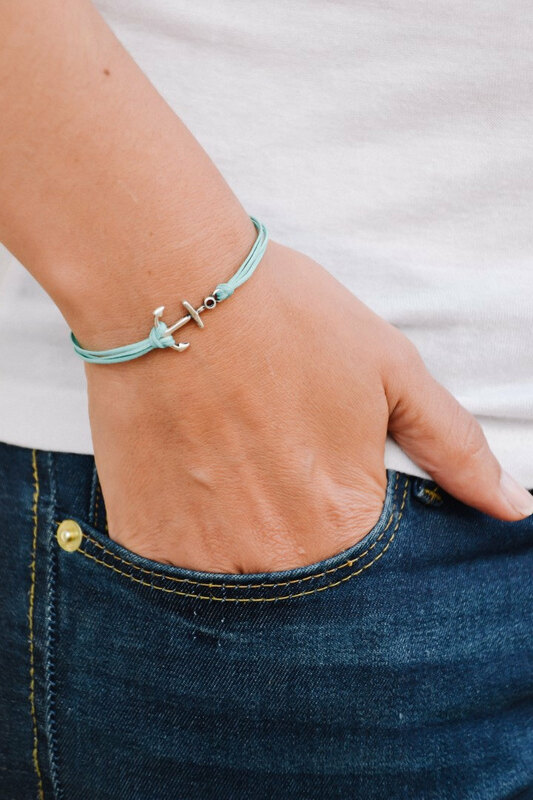 A friendship bracelet with an anchor metallic closure is suitable for young boys and girls still in their school. Teens and younger adults better avoid wearing it. This is an embroidered charm bracelet and is in the shades of white and blue. 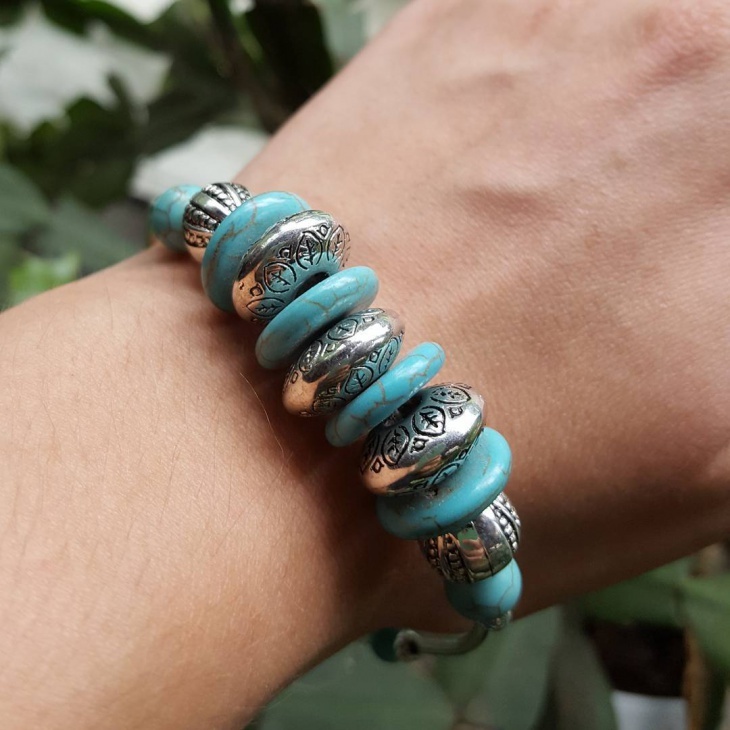 A handmade bracelet in turquoise color, and made in polymer clay is suitable for teenage girls. This is a chunky bracelet with digital block design and colors filled in dark blue, white, and red. 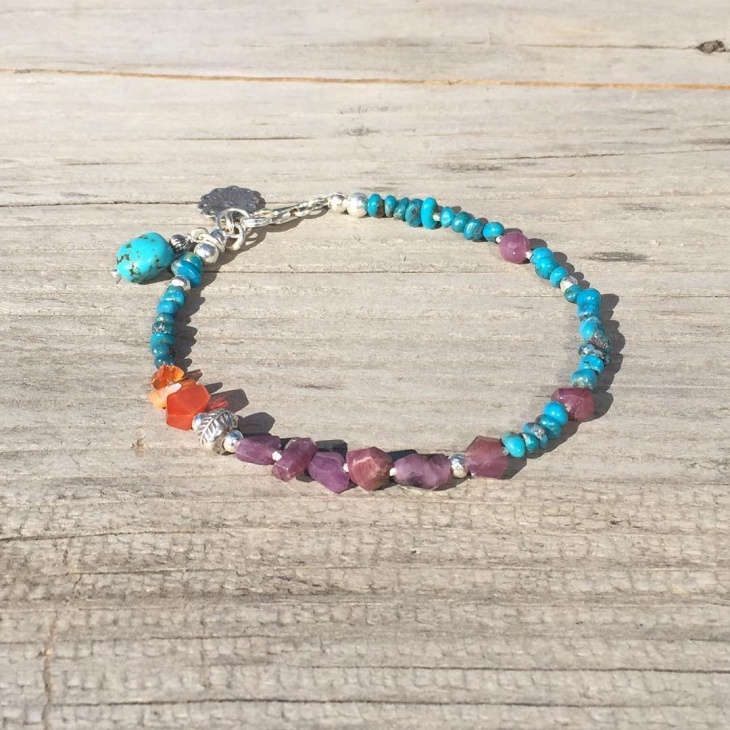 This is a simple and elegant bracelet that goes well with summer dresses. 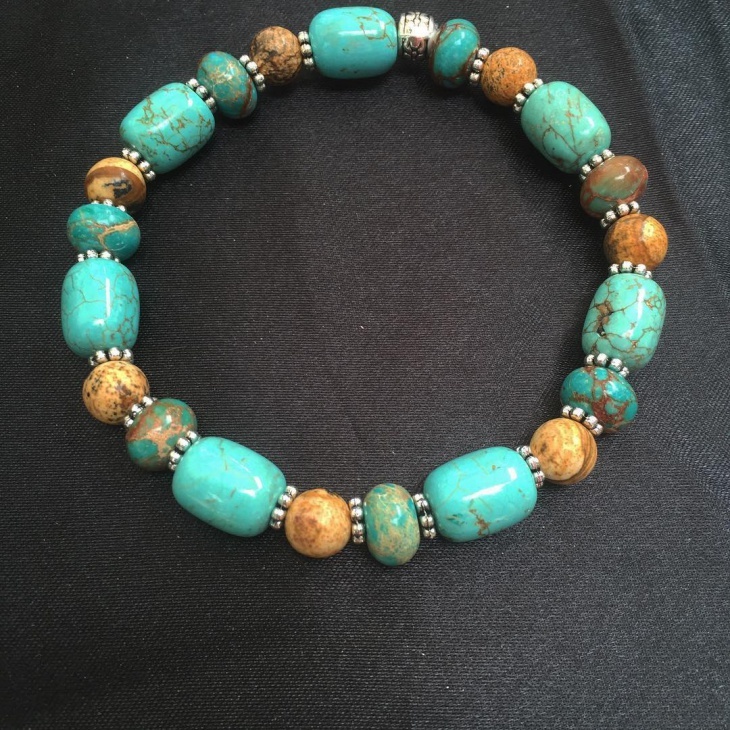 An exotic and a beautifully designed turquoise beaded bracelet go well with all kinds of cocktail dresses. It is embellished in the style of a leaf and suits women of all age groups. For day and evening parties, this is a suitable accessory. 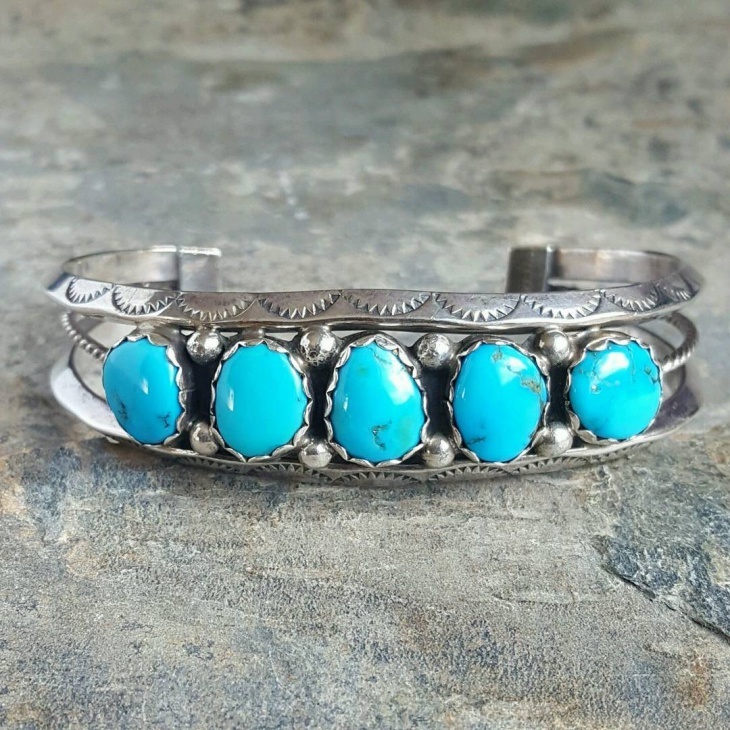 If you are looking for silver or gold bracelet designs for men, take a cue from this turquoise bracelet for men. This sterling silver cuff bracelet is highly suitable for men who love to go clubbing. It is chunky and has strong elements of designs. 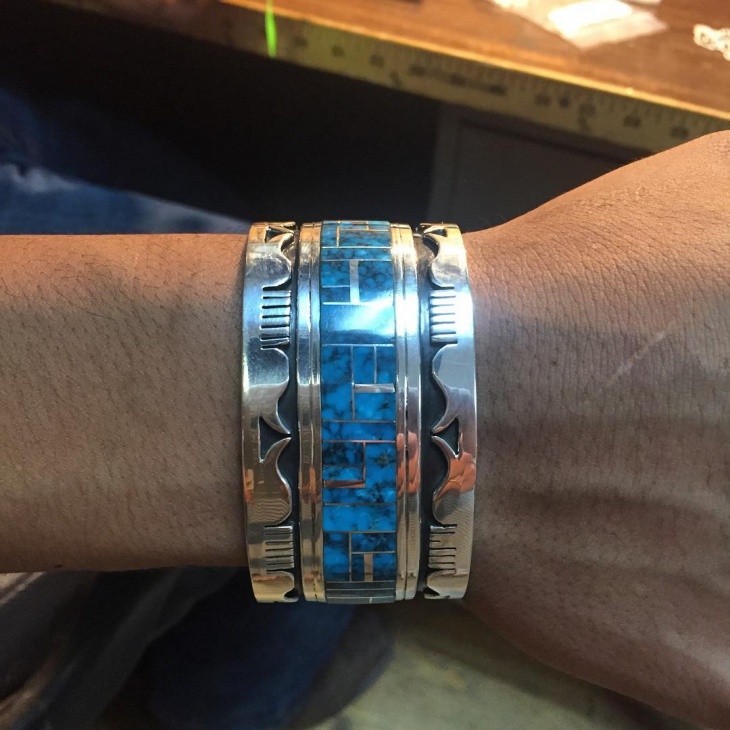 Men love jewelry too! And they will fall in love with them times two when they wear these designs. 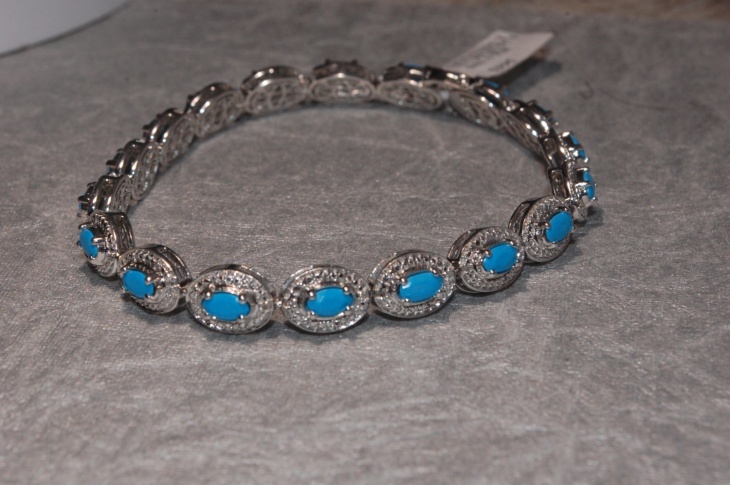 This is a true azure bracelet made in antique design. It is suitable for young girls and is hand wired. 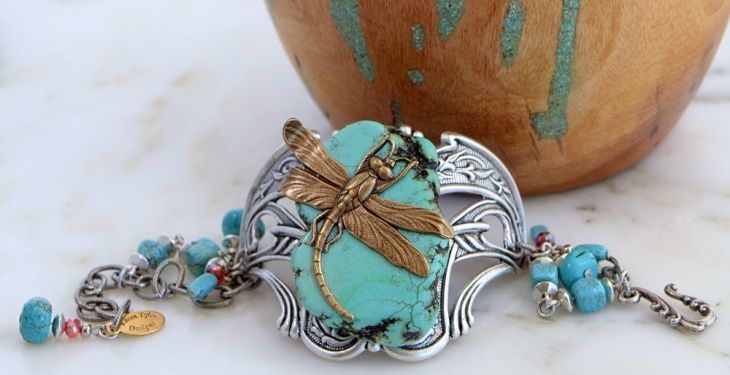 An elegant handmade jewelry goes well with tunics and embellished clothing. Get loud with accessories that match this bracelet. 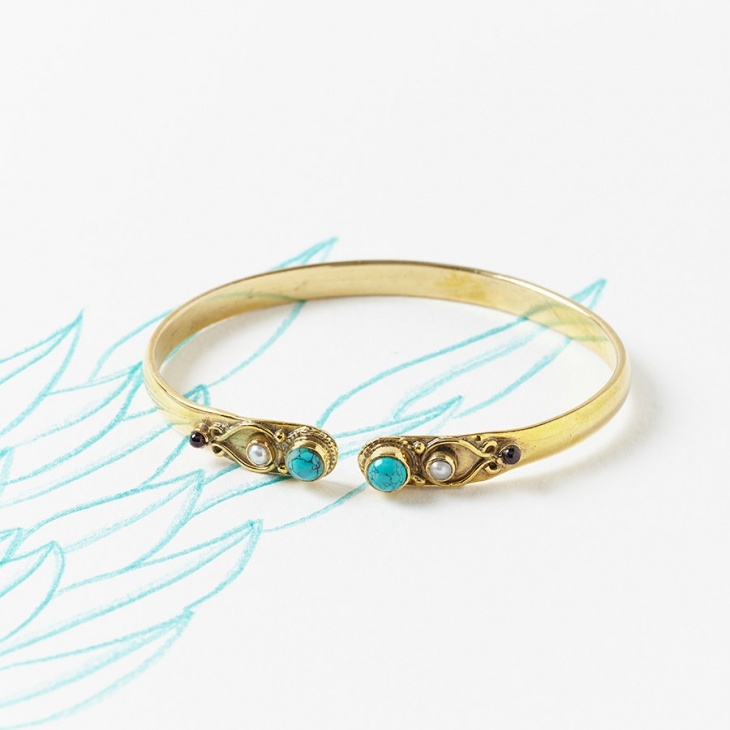 This is the kind of bracelet that can never go wrong even with kitschy embellished designs. 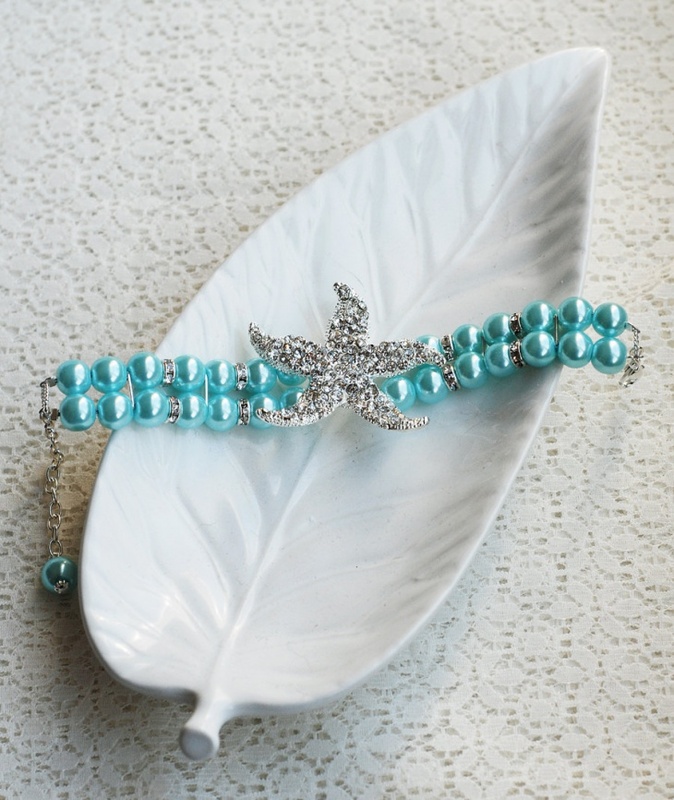 A beautiful pearl and rhinestone bracelet in turquoise color. With two strands of pearl beads, and a metallic closure and a center piece in between, is suitable for special occasions. 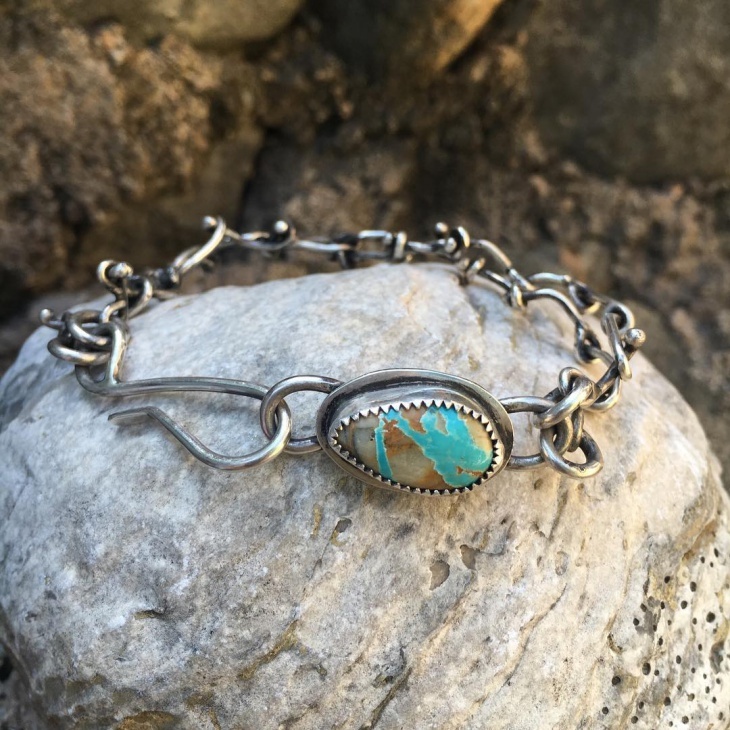 Women of all ages can wear this bracelet. Sparkle your dainty wrists in them when you want to get dressy. 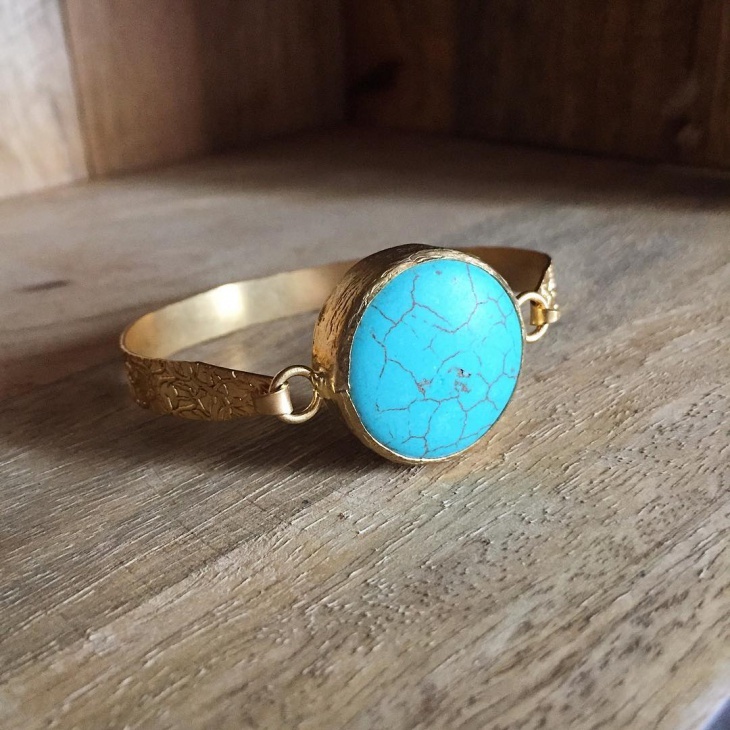 A metallic, oval-shaped bracelet with turquoise gemstones studded in them suits women in technical fields. Bold women who love to wear their dynamism on their sleeve can wear this bracelet. This is a tech bracelet for wise wear. 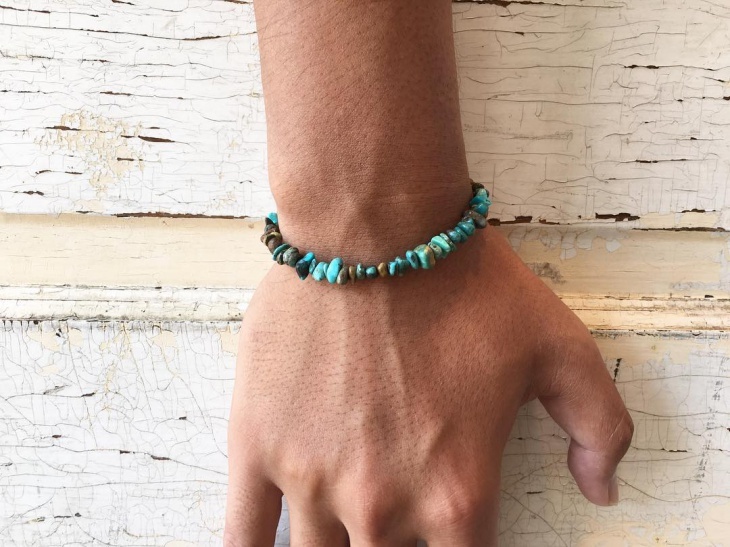 A howlite and a turquoise beaded bracelet with a tiny metallic closure are suitable for teenage girls. The closures are simple, round metallic beads in sterling silver. 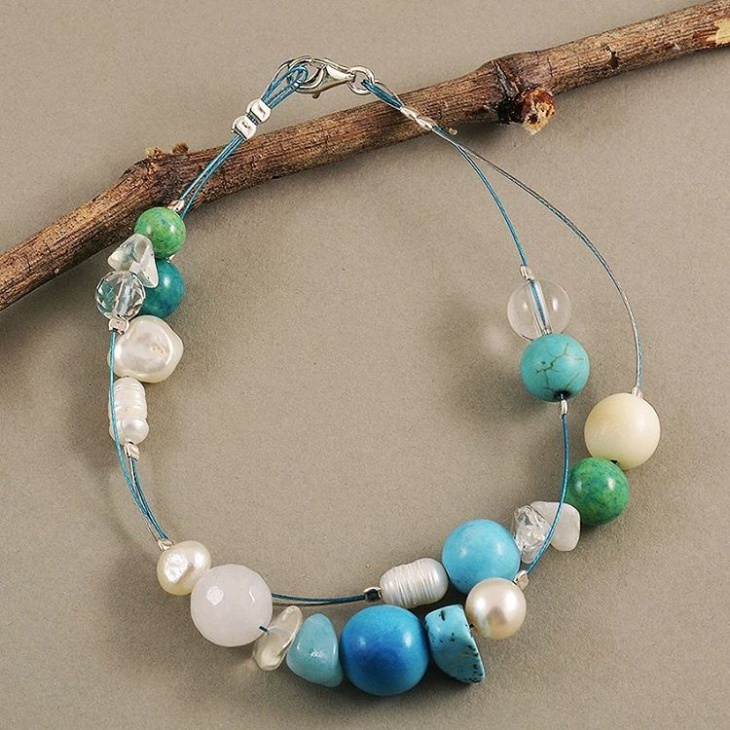 The beads are large in size and give away the bohemian chic look. Women looking for pearl bracelet designs can take at peek at these designs. Bracelets in any material or beads can never go out of fashion. Women of all ages love wearing them. Those who love to accessorize themselves this monsoon try this shade of blue in azure and turquoise and fill their seasonal wardrobe with this jewelry.